Why settle for 1200ml of 100% mycelium-colonized cake, when you can get 2100ml ? 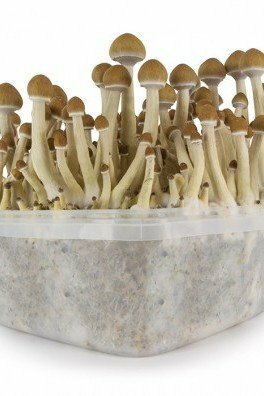 Maybe because you are new to mycology, and you want to try your hand at growing your own shrooms without breaking the bank. Well, our Extreme XL Magic Mushroom Grow Kits are just as easy to take care of as the classic 1200ml size kits, and even though they may take a larger bite out of your budget, the humongous yields are well worth the extra investment!